When savvy product designers and importers IML analysed changes affecting their business model, including an increase in low quality product flooding the hardware chains, they knew they had to implement a direct-to-consumer strategy. Challenges for this project were broad including help evolve the culture and set up systems to change from the business to business mindset to business to consumer. The development of a friendly, approachable brand and the development of a user-friendly online shopping website were also key to a successful launch of the companies new direction. i360 consulted with the new entity EzyNeezy across areas from internal systems, brand development and roll-out strategy. 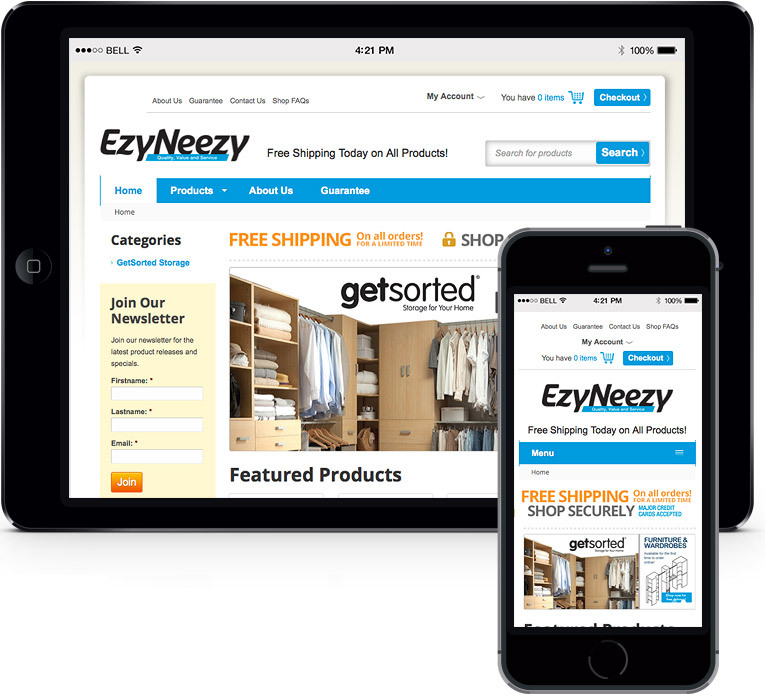 We also designed, developed and implemented their new online shop (ezyneezy.co.nz) and provide ongoing strategic consultancy, development and analysis. In less than 12 months of operation the EzyNeezy website has grown to provide a significant portion of the companies revenue stream and sales are growing. Management has commented that the launch has done “far better than we expected” and as such goals for 2015 have been raised.